Every year in China, says documentary maker May Tchao, more than 300,000 foetuses are aborted because of their gender, and more than 500,000 baby girls abandoned. Thousands more girls and women, she says, face domestic abuse and even kidnapping. Tchao, born in China but now resident in the USA, is on a mission to expose the “sexist culture” that underlies these statistics. Her film, Rise of the Phoenix, explores life in today’s China through the experiences of five women, from diverse socio-economic backgrounds – but with a particular focus on challenges for women in rural areas. “I am proud of China and how far it has come… But I’m also still appalled at some of the traditions holding it back, especially for women,” Tchao says. One of the women interviewed describes how she grew up in a remote rural region, where all her dreams seemed “beyond my grasp”. Another talks about the dissolution of her marriage after the earthquake of 2008, and how she is supporting her daughter by working as a maid. A third discusses her role as a partner in a leading legal firm. Tchao is currently raising funds in order to return and complete the film, which she says will include the stories of a woman sold into marriage, and a migrant factory worker. 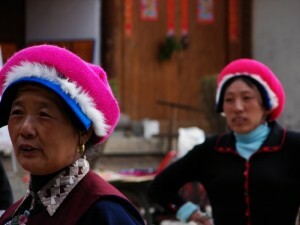 The UN has expressed concerns about China’s slow progress on gender equality, particularly in rural areas. In 2010 it reported that women constitute 65% of the rural labour force, but occupy only 1-2% of local decision-making roles. According to the UN’s 2010 report, the problem of “missing” women and girls is actually growing. As well as prompting abortions and abandoned children, discrimination also means many women die due to inadequate health care or nutrition. China’s UN Mission has expressed the nation’s commitment to promoting gender equality, and outlined a fairly extensive series of policies aimed at achieving this. Is the film being shown anywhere in the uk?